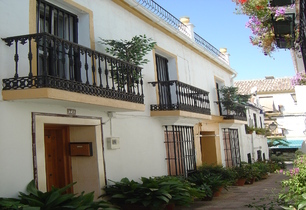 Luxury first floor apartment in the heart of Marbella Old Town - 'Casco Antiguo' - just a few minutes' walk from the famous Orange Square and the beach, in a quiet narrow street, winner of 'The most beautiful street in Marbella' (2002). 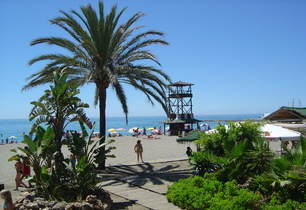 The charming Old Town lies behind the bustle of Marbella town itself. It is an enchanting maze of cobbled streets full of designer boutiques, fine restaurants, bars, historic churches and museums....a wonderful traffic-free place to stroll at anytime. A car is not essential for this holiday. 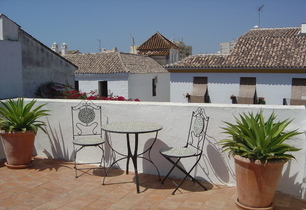 This first floor luxury apartment is in a traditional old house and boasts an enormous roof terrace fully equipped for sunbathing (with cooling shower) and dining al fresco complete with a gas barbecue. 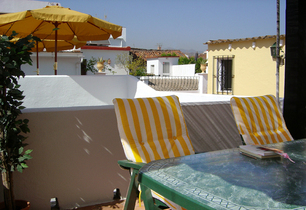 From the terrace there are dramatic views over the Old Town and mountains. 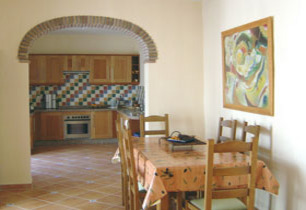 The living area is very large and spacious with a fully equipped kitchen, granite surfaces, oven, dishwasher, microwave, toaster and blender plus a separate utility room with washing machine and drier upstairs. 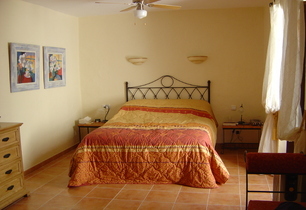 There are two large master bedroom suites with king-size beds, each having en suite shower facilities. 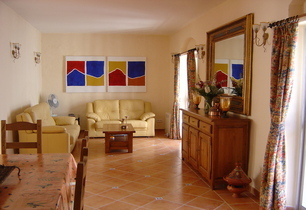 The apartment has air-conditioning and heating, plus Wifi with internet TV connection including BBC and ITV; plus a DVD player with an extensive film library, CD player and iPod docker. Weekly maid service is provided with quality linen and towels. We recommend you bring your own towels for beach and sun-bathing use, and take out your own travel insurance cover, for the duration of your stay.